Sadiya Ansari has worked as a journalist and writer with online publications in New York and Vancouver, in addition to interning at CBC’s The National. 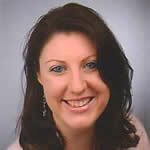 Her work has appeared on Women’s eNews, Forbes, Schema Magazine, and United Press International. 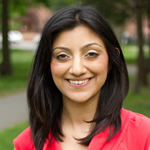 Prior to her work in journalism, she worked in immigration policy in non-profit, government and academia for five years. She is currently in her final year of the graduate journalism program at the University of British Columbia, specializing in global migration. She holds a Masters in Public Administration from Queen’s University and a Bachelor of Arts in Public Policy from the University of Toronto. Emily Bodenberg is a documentary TV and radio producer who has created programming for the CBC, CBS, ABC, The History Channel, CNBC and Bloomberg. She has received numerous honours for her work, including an Investigative Reporters and Editors Award, a Gerald Loeb Award for distinguished business and financial journalism and an Emmy nomination. She holds a BA in Cultural Studies from McGill University and is currently completing a Master’s degree at the UBC School of Journalism. Malin Dunfors: Malin’s focus on experimental feature writing has brought her from Boulder to the Australian Snowy Mountains in search of a thrilling experience. For the last ten years, she worked as a bilingual multimedia journalist/editor, and photographer, in the United States, Canada, Australia, the United Kingdom and Sweden. With a MA in Print Journalism from Emerson College, she has worked for Harvard University’s Transition Magazine, MTV, Reader’s Digest, Clearwater Times, North Thompson Star Journal, LexisNexis and contributed to Runner’s World, SKI, Skiing Magazine, Schema Magazine and several Swedish sport magazines. She is currently a second-year graduate student at the UBC School of Journalism. 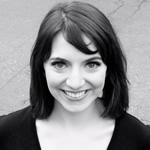 Alexandra Gibb is a dual Canadian-American citizen specializing in national defense and security reporting at University of British Columbia’s Graduate School of Journalism. 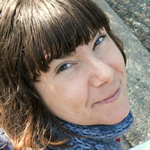 In addition to her research on the military and law enforcement applications of drone technology, Alexandra is exploring drone journalism: the technology available, its practicality for both domestic and international reporting, and its potential ethical, legal and social implications for journalists, audiences and society. She holds a BA (HON) in political science from Simon Fraser University. 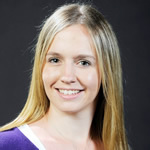 Alexandra Minzlaff is a second year student at the UBC Graduate School of Journalism. She primarily works on video and multimedia projects and is fascinated with human interest stories and political journalism on a global level. Recently, she and a colleague were awarded the prestigious “Canadian Online Publishing Award” for their video “Liberia’s lost generation: A Vancouver photographer reconstructs the country’s past”. Alexandra holds a Master’s Degree in American Cultural Studies, Political Science and French from the Ludwig-Maximilians-University in Munich, Germany. Kim Nursall is in her final year of the Master of Journalism program at the University of British Columbia’s Graduate School of Journalism. She grew up in Calgary, AB, where she received a Bachelor of Arts with Distinction in political science from the University of Calgary. As a journalist, she is particularly interested in reporting on how global political and economic issues impact local populations, and how people are trying to address these incredibly complex problems in an increasingly interconnected world. 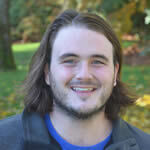 Lucas Powers is a Vancouver-based freelance multimedia journalist and a Masters of Journalism candidate at UBC. He has reported on issues ranging from indigenous rights to national security.Lucas has completed internships with CBC Radio and in the newsroom of CBC’s London, UK bureau. Heather Roy is a second year student at UBC’s Graduate School of Journalism. She completed her internship at Discovery Channel’s Daily Planet where she researched and wrote segments for the fall season. 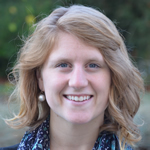 Heather is interested in human rights reporting and has traveled extensively through Thailand, Laos, Cambodia, Vietnam, Hong Kong and mainland China. Heather is a 2011 Joseph Armand Bombardier Scholarship recipient. She holds a Bachelor of Arts from the University of British Columbia. 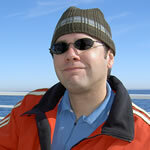 Keith Rozendal earned a PhD from the University of California at Santa Barbara in 2003. This academic background in social and political psychology shapes all of his reporting. His journalism focuses on science and medicine, from breaking news on discoveries and applications to in-depth stories on medical and scientific social and political issues. He’s worked for California’s Santa Cruz Sentinel, The Vancouver Sun, Stanford School of Medicine’s Scope medical blog, the US National Academies of Science, and the weekly radio show Big Picture Science. 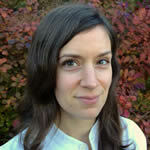 Lindsay Sample is a multimedia freelance journalist in Vancouver. 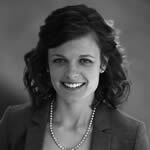 She is currently completing her Masters of Journalism, with a specialization in International Relations. She has completed internships at CBC Radio, Dan Rather Reports, and The New York Times video unit.